Solid steel construction provides strength and rigidity. Ideal for any home or garden entrance. 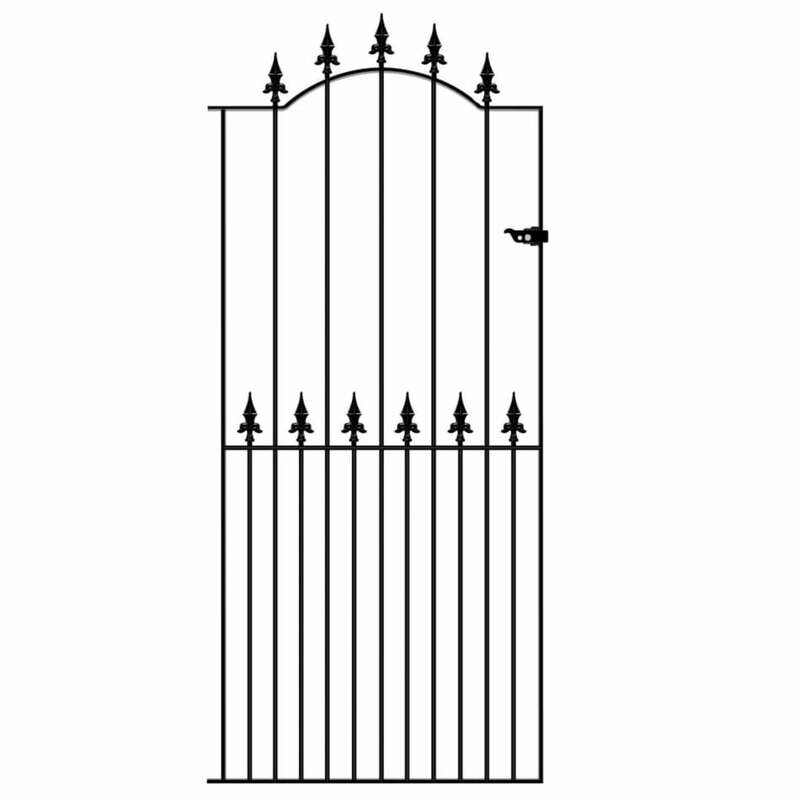 Manufactured to a high standard using solid steel components the Saxon tall metal side gate will provide an imposing statement to any pedestrian entrance around the home or garden. 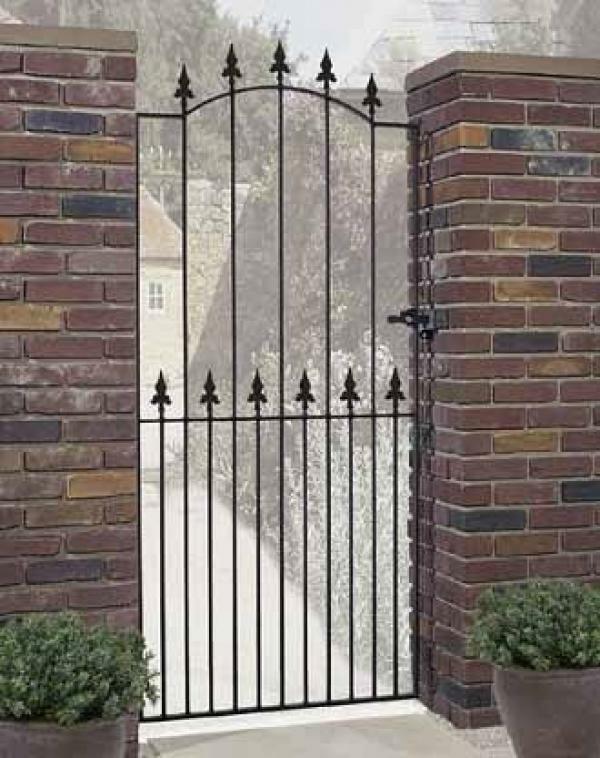 Fitted with two rows of finials and a shallow arch profile the Saxon gate design will blend with a variety of architectural styles to create a wonderful overall look whilst retaining an affordable price. Constructed to a high standard using quality materials to ensure strength and stability. Saxon metal side gates feature a shallow arch top to create increased aesthetic appeal. 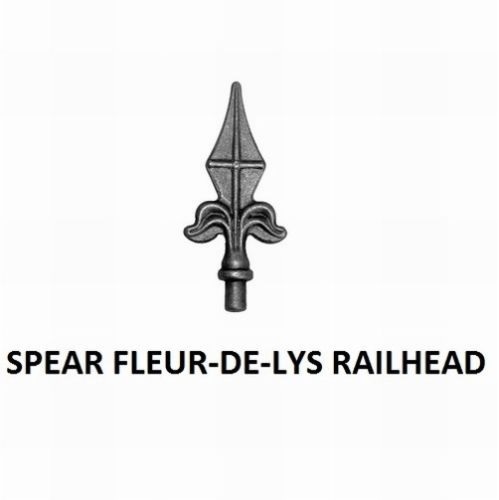 Fleur de lys finials help to increase security. Manufactured with 25mm x 10mm frames and 12mm solid metal infill bars. Suitable for hanging left or right handed. Supplied with fixed hinges and a universal latch fitting (can be secured using a padlock). The Saxon tall metal side garden gate is available to order online in black primer/undercoat option ready to be painted before you install them or a low maintenance zinc plated (electro galvanised) and black powder coated paint finish. Do you need help or advice before placing an order? 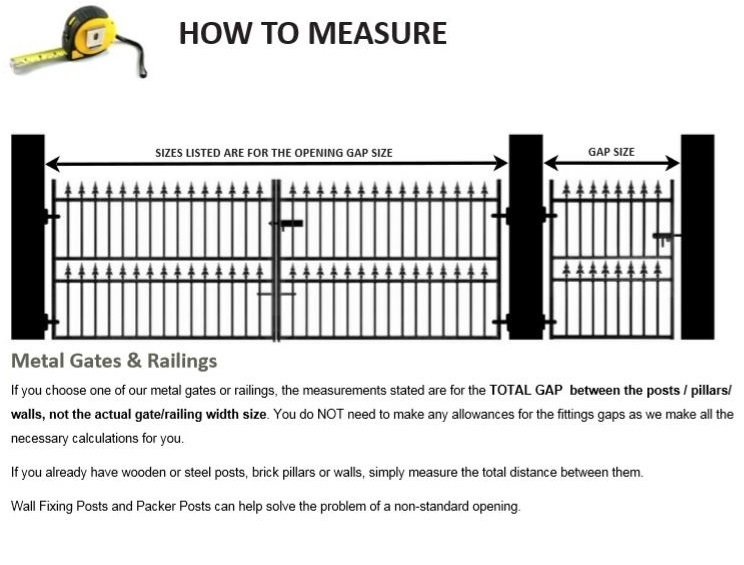 For information on selecting the right gate size and measuring the opening click here. You can also speak to us in person by calling now on 0844 804 5577. Do you need to order metal posts? 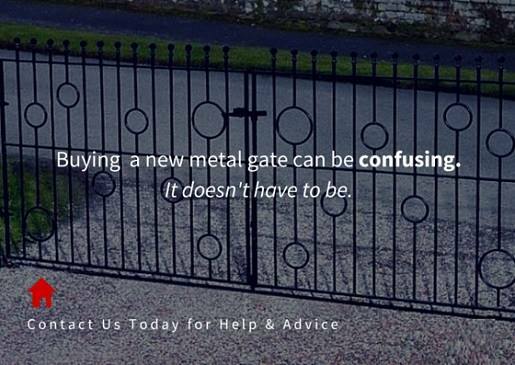 If you would like help or advice choosing metal posts or need a style not showing online please call us on 0844 804 5577 or email sales@gardengatesdirect.co.uk.